Having a strong economic base helps a community to grow and develop. A reliable means to earn a living and the ability to manage household finances are both vitally important. Yet, in the project areas where RFDP work, many community members, particularly women, lack the skills or resources to achieve economic independence. Many are illiterate and have never had a bank account or any training in how to manage money. They have no access to affordable credit to invest in a business or to help cope in a family emergency. Private lenders charge extortionate rates of interest and are almost impossible to pay back. What RFDP will be doing? RFDP will organise Savings and Credit Groups for women and young people. The Savings and Credit Group elects its own leaders and has a bank account into which everyone contributes a small amount each month. The Savings and Credit groups will embark on encouraging each group member to save monthly and build the resource base for the group. The money realized from Savings is later given to group members as loan. This money is also the revolving loan funds for the Savings and credit groups. Additional capital provided by RFDP enables the group to give out small loans, at low interest to its members, starting with the most needy. Training in Financial services Provision, which includes Credit Management training as well as in business skills and marketing, helps to ensure that the money is invested wisely. 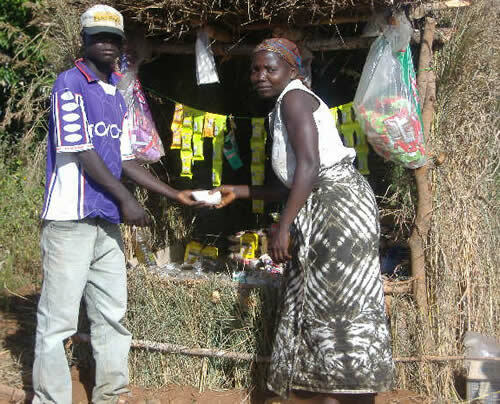 Often the loans are spent on developing micro-enterprises, such as a roadside stall (tuntemba), buying and selling of second hand clothes (salaula), buying livestock like goats and chickens. The proceeds are used to pay back the loan and increase the loan fund so that others can benefit. These groups also provide a forum for education in HIV/AIDS prevention, reproductive health and good nutrition.